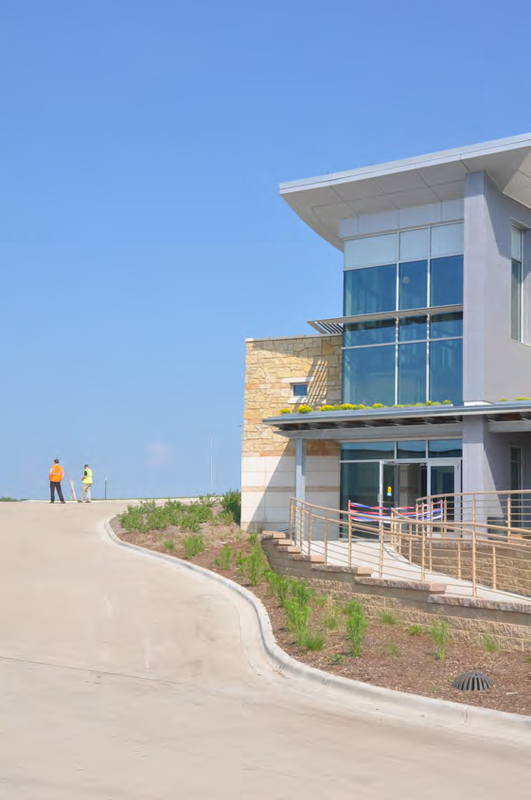 The Genoa hatchery at long last opened our interpretive center this summer. This was due to the help of a cast of thousands as we like to say, as it really took the inspiration and creativity of thousands to make the dream of bringing this building to life. The building tells many different stories of the Region and its natural surroundings, but also includes the unique history and story of conservation of the Upper Mississippi Region. Helping us in this adventure was our Friends Group, and our local area volunteers. They have contributed to the telling of these stories by creating and staffing the gift store throughout the summer. The store features educational items on local history such as the Blackhawk War, and the rich history of the River Region. The building also attracted some of our closest neighbors who volunteer their time to staff the building. 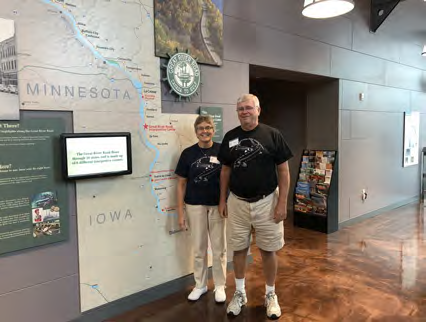 Dave and Rosie Liggett, recently retired from the ministry and have an interest in the hatchery and the history of the Region. Their grandchildren consider feeding the trout one of the highlights of visiting the grandparents, and they make many trips over to our feeding station to do their part to make them grow! Dave and Rosie greet visitors with a smile and help guide them through the building and its exhibit rooms. They also keep and tidy ship, which also reflects their gift of stewardship. 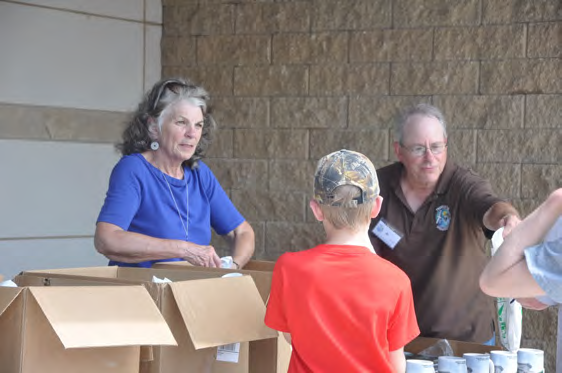 Many accolades and thanks to Dave and Rosie, and all of our Friends Group members and volunteers who make our mission of conservation and stewardship that much more achievable!